The Dubai Municipality (DM) Transportation Department has launched a library using recycled vehicle parts. 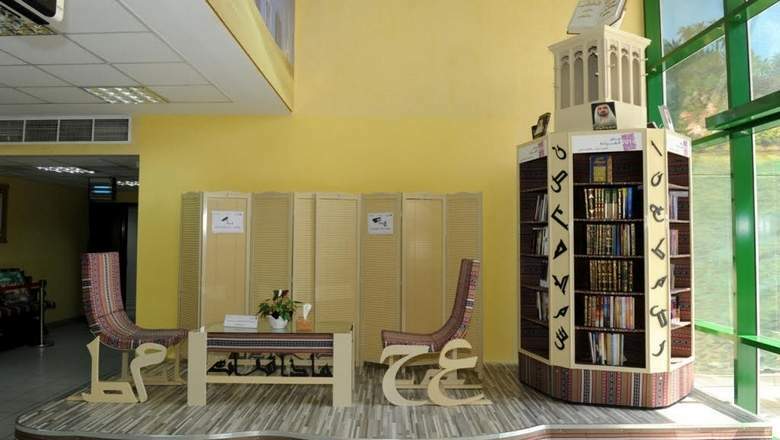 The municipality has prepared its first library with books specialised in engineering and mechanical maintenance, innovation and management sciences and religious materials in several languages in order to open the door for reading for all employees. Humaid Al Marri, Director of the Transportation Department at Dubai Municipality, said: “The library design was based on the concept of innovation, creativity and recycling in accordance with government guidelines. Al Marri said the library has been designed with a rotating shelf system which is managed electronically. It has been built in a purely local style as a model of a Barjeel (traditional wind tower) to preserve the local heritage of the country. According to a media representative at the DM, the library ‘s shelves, chairs and tables are made from parts taken from different types of vehicles and a variety of equipment used by the municipality. The library also includes four valuable books, ‘My Vision’ by His Highness Sheikh Mohammad bin Rashid Al Maktoum, Vice-President and Prime Minister of the UAE and Ruler of Dubai, and two books on the Father of the Nation, Sheikh Zayed bin Sultan Al Nahyan and a book by His Highness Dr Sheikh Sultan bin Mohammad Al Qasimi, Supreme Council Member and Ruler of Sharjah.